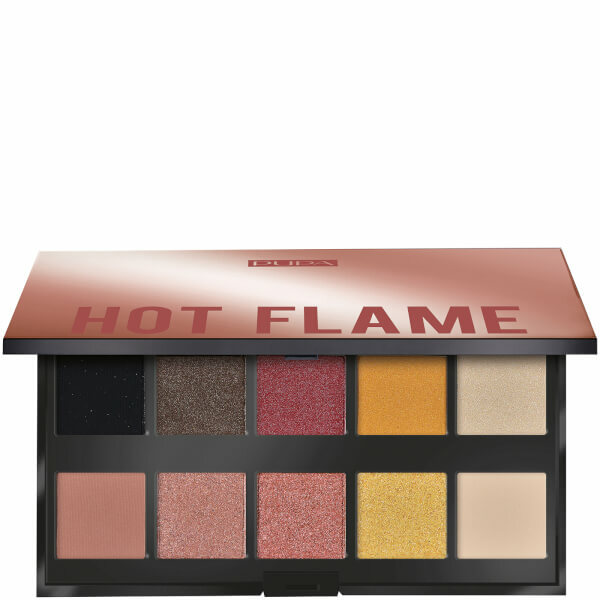 Create endless looks with the PUPA Make Up Stories Eyeshadow Palette in 'Hot Flame'; a collection of ten shades in a range of matte, satin and metallic finishes. From copper and amber hues to vibrant tones of gold and mustard, the luxurious formulas combine innovative polymers and resins, waxes and oils for seamless blendability and superior colour longevity. Perfect for achieving warm smokey eyes or bold, sparkling evening looks with professional results.